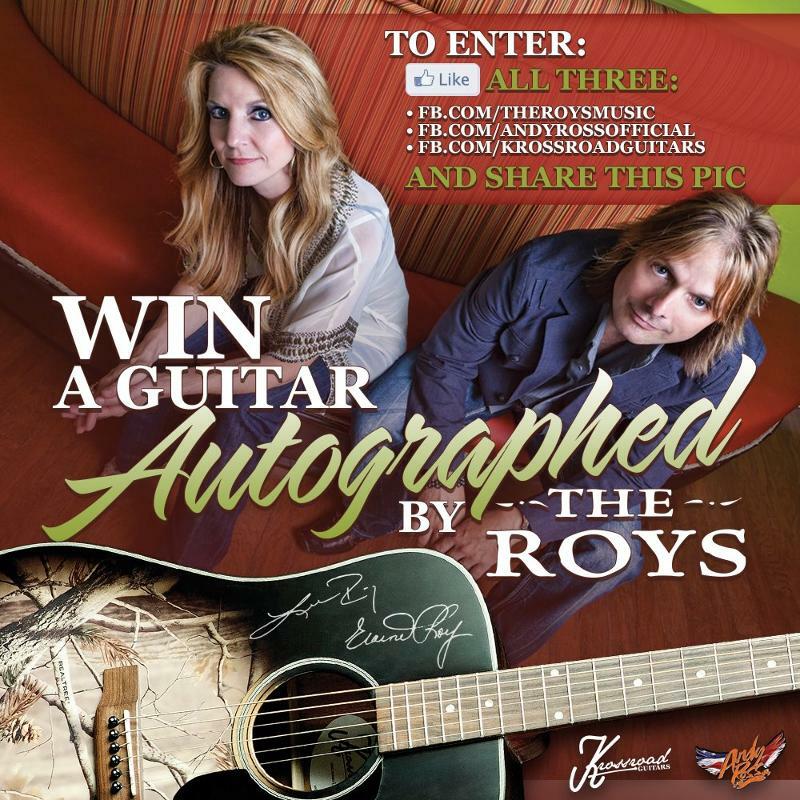 Nashville, TN (March11, 2013) -- Award-winning Bluegrass duo THE ROYS join Krossroad Guitars in offering fans a chance to win an autographed camouflaged guitar via a special Facebook contest sponsored by Andy Ross. The guitar's designer, fellow musician, famed hunter, hunting bow designer and star of the Sportsman Channel's TV show Maximum Archery, Ross is thrilled to offer the custom Krossroad guitar emblazoned with the ever-popular Realtree™ camouflage and signed by Lee and Elaine. "It's always exciting to work with super-talented people like THE ROYS," notes Ross. "Best of luck to all who enter the giveaway!" The winner will be selected at random and notified by a Facebook message at the close of the contest. 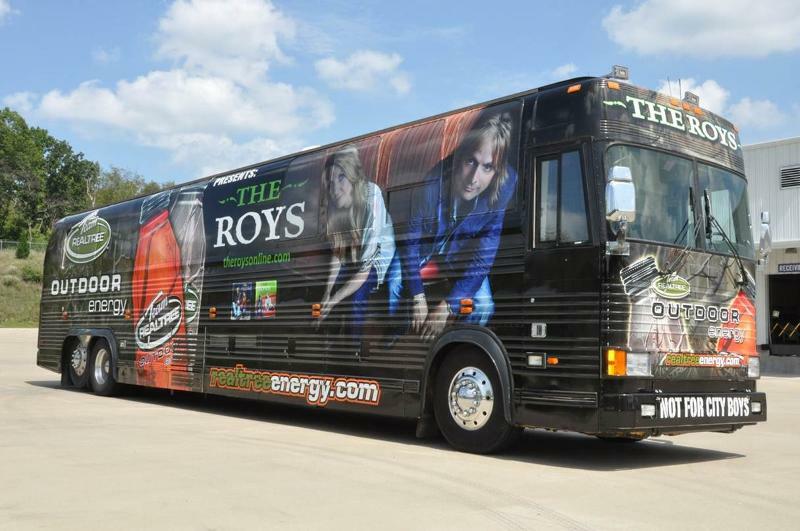 THE ROYS aligned with Team RealTree™ Outdoor Energy last year for a strategic partnership that included tour sponsorship. Lee and Elaine travel to their shows in a strikingly-wrapped Team RealTree™ Outdoor Energy camouflage bus. Known for their outstanding vocals, memorable songs and top-notch musicianship, THE ROYS are regarded as one of the fastest-rising successes in the music industry today. They have blazed a trail across the country spreading their distinctive brand of Bluegrass to longtime fans of the genre and "newbies" alike. Their sophomore disc for Rural Rhythm Records, NEW DAY DAWNING (2012), debuted at Number 2 on the BILLBOARD Bluegrass Albums Chart in early September and two weeks later climbed to Number 1 on Amazon's Bluegrass Best Sellers list. The EP is currently on the BLUEGRASS UNLIMITED MAGAZINE Top 15 Chart and is one of SiriusXM BLUEGRASS JUNCTION's most played albums. Last October, Lee and Elaine were named Inspirational Country Music's Bluegrass Artist of the Year (2012). They were previously honored with that award in 2011 and dubbed the organization's Duo of the Year in 2010 and 2009. Fans can keep up with the red-hot duo online at THE ROYS and can look for Lee and Elaine's next CD this summer. 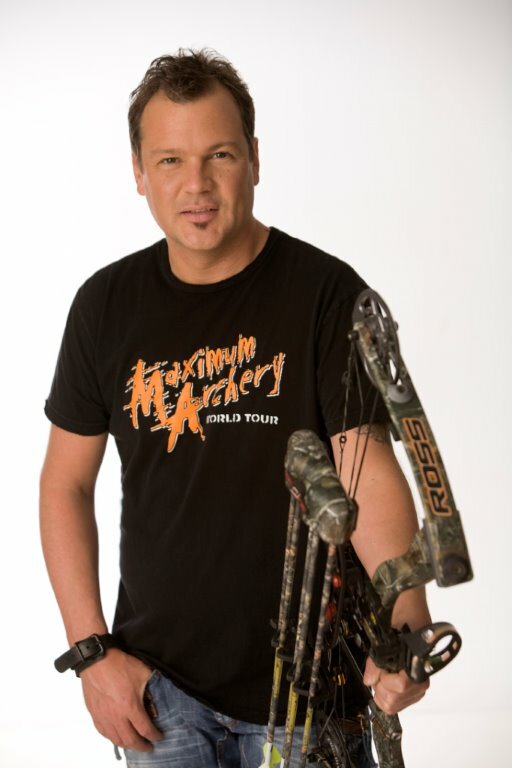 Ross, famous for producing some of the world's best hunting bows and for his television show, is also a skilled pro in the creation of quality musical equipment. In the 1960s, his father Bud Ross founded Kustom Electronics, at one time the world's largest music equipment manufacturer. Kustom Amplifiers, easily identified by their tuck-and-roll cabinet, made the company famous. Because of his father's success, Andy grew up surrounded not only by the manufacturing process but also by legendary artists of the day. He developed a personal love for music that is matched only by his passion for hunting. A Krossroad guitar is a quality "full-size" guitar that performs perfectly with a solo acoustic artist in a small town band or on the big stage. Made of only the finest materials including a solid spruce top, rosewood fretboard, mahogany sides and back and Fishman ® Electronics pickup, Krossroad delivers quality, sound and performance with an outdoor edge. Krossroad Guitars™ are only available factory direct from Krossroad and offer a 30-day, money-back guarantee. For more information on Krossroad Guitars™, please visit Krossroad Guitars.